For someone who grew up during an era when our collective image of Russia was based on grainy black-and-white photos of May Day military parades in Moscow’s Red Square, my trip to Russia this week was eye-opening. Our destination was the Siberian city of Tomsk and our focus was media and the courts. I learned much about the Russian courts and the Russian media, and I hope I left some knowledge behind as well. I will blog more about the visit after I recover from the long trip home. 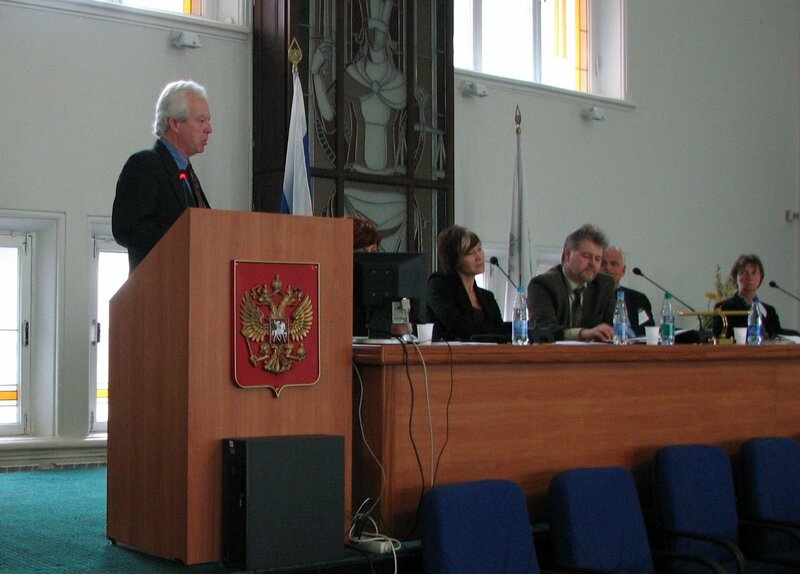 For now, here is a photo taken during my presentation to judges, lawyers and media representatives at the Tomsk Oblast Court.